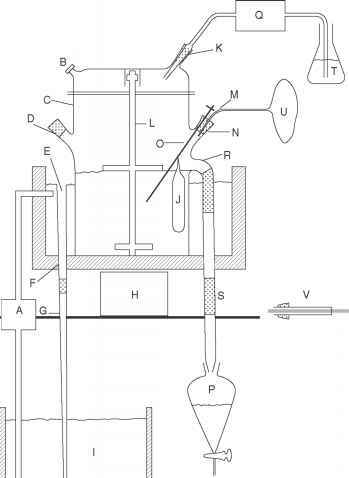 Figure 1 Schematic representation of the Th1/Th2 balance. Abbreviations: IFN, interferon; Ig, immunoglobulin; IL, interleukin; NK, natural killer cells; Th, T-helper cell. inflammatory properties. They induce a large production of Abs by B cells belonging to the isotypes and subclasses of IgG1, IgG2b, IgA, and IgE, the latter being involved in allergy. Activation of one population inhibits that of another. One of the major determinants of the Th1/Th2 differentiation is the cytokine environment at initial sensitization. 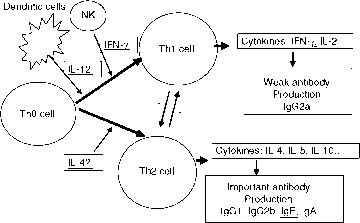 Indeed the transition from Th0 to Th1 or Th2 depends on environmental factors, among which the innate immune cells, macrophages, DCs, and NK cells, play a considerable role through synthesis of some cytokines, especially IL-12, and IFN-g, acting on the orientation toward a Th1 profile (Fig. 1). Another subset of T helper cells has been described in mice, the Th3 cells. They could play an important role in tolerance by suppressing the immune response through production of transforming growth factor-b (TGF-b) after Ag-specific triggering (28). The Th1/Th2 balance is an example of the complexity of the host's immune system, which has to respond to various immune stimuli by an appropriate immune response. In fact, according to the situation, an inflammatory immune response involving Th1 and/or CD8 + T cells will be activated in intracellular infections needing cell-mediated responses. In contrast, a Th2 response producing a low inflammatory response with marked synthesis of IgG1 or IgA Abs, will be more activated in other situations. 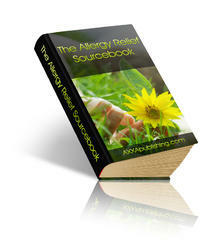 With regard to the IgE response (Th2 response), it must remain moderate in order to not give rise to adverse allergic reactions. A balance between Il-4 and IL-10 may intervene in that regulation, in which IL-10 is believed to play a very important anti-inflammatory role (29).